Prosecutors Chip Rich and Clayton Haden had asked the jury for a sentence of 15 to 20 years, the maximum for intoxication manslaughter. Defense attorney Roy Barrerea, Jr. had sought probation. He argued that she was a remorseful, hard-working single mother who simply got lost as she was trying to make it home to Seguin. The trial, which was held at the 437th state District Court, lasted three weeks. The jury deliberated for six hours. Intoxication Manslaughter, defined under Texas Penal Code 49.08, states that a person who operates a motor vehicle while intoxicated and causes an accident that leads to the death of another individual can be tried for a second degree felony. In addition to the definition of intoxication manslaughter, it is considered a first degree felony if the individual who did was an emergency responder (i.e. a police officer) who was acting in an official capacity. (Texas Penal Code 49.09). This is the reason why Briggs was tried under a first degree felony and Ybarra was tried under a second degree felony. A person found guilty of a second degree felony can be sentenced to prison for 2 to 20 years and possibly fined up to $10,000, while a person found guilty of a felony of the first degree can be sentenced 5 to 99 years. Drunk driving is a serious matter at all levels. If you drink, please have a designated driver or call a taxi. 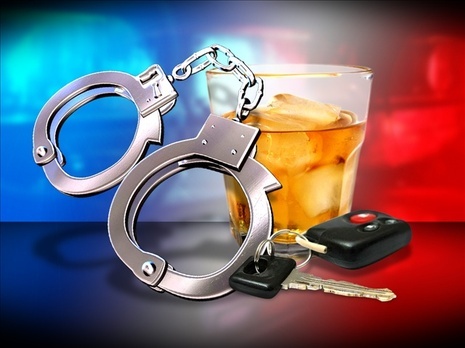 But, if you are arrested for a DWI, know that you still have rights. Seek the help of an experienced lawyer and call the Law Office of Dayna L. Jones at (210)-255-8525. Calls are answered 24 hours a day 7 days a week.